Who wouldn’t love seeing that first thing in the morning? I sat down with Dr. Georges to find out more about her ProfNet experience and her advice to journalists, bloggers, and other content creators for submitting a ProfNet query. How has ProfNet helped you take your book and blog from an idea to a reality? From the moment I conceptualized the idea for Seeing All the Good, I knew I wanted to feature stories and advice from people all over the globe that are living proof of the power of positivity. The challenge and question was, “How do I find such people?” I live and work in New Jersey and do not have a social network that expands much further than where I live, plus a few others states in the U.S. I was very aware of ProfNet and the wonderful resource they are for writers and journalists, as well as experts seeking mediums to share their knowledge and experience. I was hopeful when I decided to submit a query to ProfNet for my first series of pieces on gratitude, but I honestly never could have imagined the magnitude of ProfNet’s awesomeness as a resource. First, within just 24 hours, I received an email back from ProfNet that they had already sent out my query to their network of experts all over the world. Then, the responses to my query began rolling in at lightning speed from the most amazing individuals. And if that wasn’t already enough, a week later, PR Newswire emailed me that they had set up a mental health news feed for me, that I now receive every few days. Finally, when you work with ProfNet, you are immediately made to feel like you are part of a journalistic family. If you email them, they respond right away. There’s no email black hole or silence– the ProfNet team genuinely cares for their writers and experts, engages and partners with you, and addresses any needs or questions you have. The other benefit is that ProfNet has vastly grown my professional network. I have established amazing professional relationships with experts who I have asked to collaborate on other pieces, and these experts have referred people to me from their networks. I now have a professional network that spans the globe and I can largely credit ProfNet for this. How do you choose which ProfNet experts to work with when you submit a query? I look for two types of experts: 1) those who have personal experience with the topics I am writing about in their own lives, and 2) those who work professionally to help their clients with the topics I am writing on. Through ProfNet, I have actually received numerous responses from experts who meet both of these personal criteria. With my gratitude series, I selected to feature interviews from several ProfNet experts who shared specific strategies they have utilized to cultivate gratitude in their families/relationships, workplaces, and to overcome challenges and adversities they have personally encountered. Additionally, I chose to feature experts who shared how they have helped their clients to cultivate gratitude in these areas. What do you look for in responses? First and foremost, I look for passion and authenticity in experts’ responses. Passion and authenticity jump off the page in the words experts use and their punctuation. I like hearing experts write about the personal meaning the topic has for them in their lives and work. I truly enjoy hearing excitement about a topic and an authentic desire to share that excitement with others. Second, I look for effort put into the response. When responding to a query, an expert can simply reply by directing you to their website or by providing just their bio. I recognize that putting immense effort into a query response is a risk as one cannot know if their response will be selected, so I do reply to less effortful responses to see if I can get something more specific. However, I love when an expert puts effort into addressing the query comprehensively in their response, and attends to ensuring strong grammar, spelling, and organization. I feel that this shows passion, initiative, and work ethic, which I value immensely. Finally, I look for responses that show the expert has genuine knowledge of the topic either from a personal or professional perspective. When experts provide their website or supporting documents, I review them, as well as their social media, to get a better sense of who they are, what they do, what they are knowledgeable about, what they are passionate about, and if they are a good fit for the piece I am working on. Do you have a success story from a ProfNet query you sent out? Let us know. 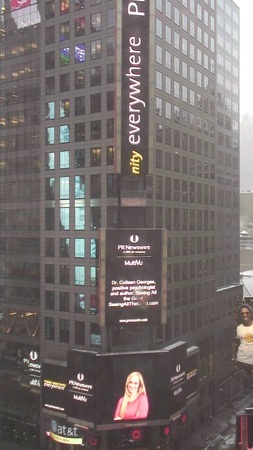 You could be featured in our next Success Story post and also see yourself in Times Square! And if you’re a journalist who has not yet used ProfNet to find sources, give us a try – it’s easy and free. Just fill out this quick query submission form and we’ll take care of the rest. 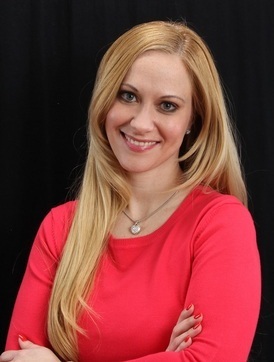 Maria Perez is director of online community relations at ProfNet, a free service that connects journalists with quotable experts.